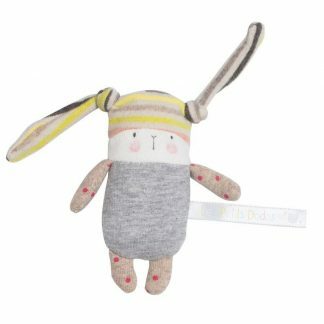 Les Petits Dodos are a lovely nursery range by Moulin Roty and brand new for 2017. If features cats, mice, dogs and rabbits all in soft pastel shades of greys, yellows and pinks. Meet Nin-Nin the rabbit. He is a lovely soft, floppy toy with beans in his tummy and feet. Nin-Nin is all ready for bed and wearing grey jersey pyjamas, brown socks with pink spots and a stripy hat which covers his bunny ears. 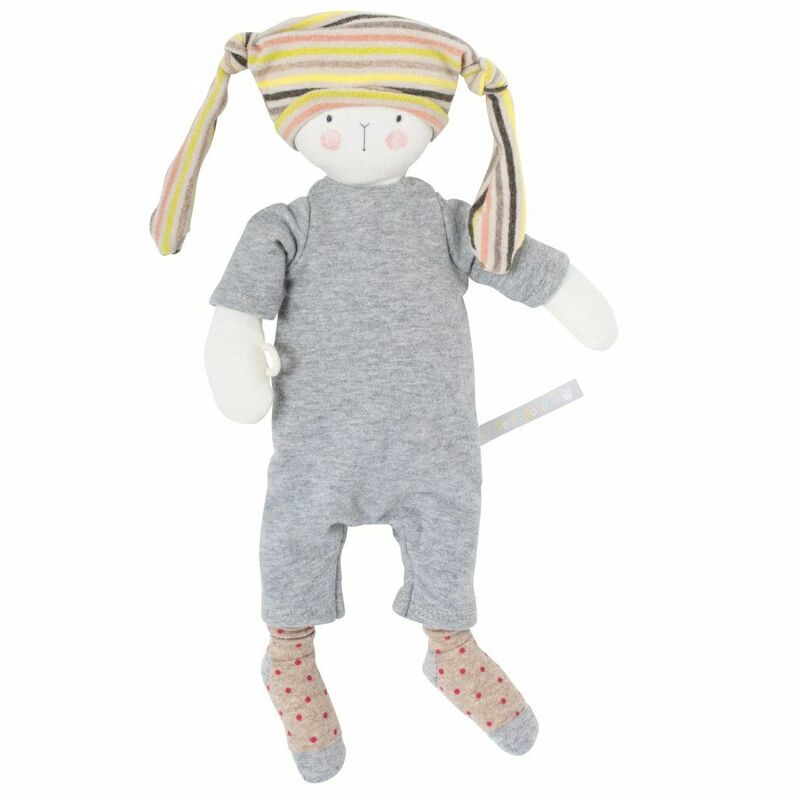 With his sweet rosy cheeks, he’ll make a lovely companion for your little ones. 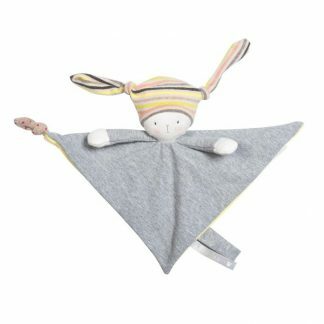 This Moulin Roty soft toy is suitable from birth and machine washable. Approx 36 cm. Moulin Roty Nin-Nin rabbit soft doll complete with pyjamas, socks and hat.